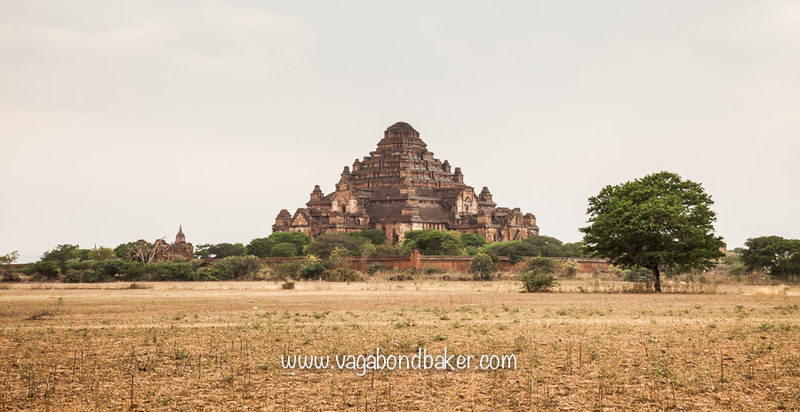 The plains of Bagan are arguably Burma’s most iconic view, a vista of thousands of Buddhist temples peppered across the landscape. 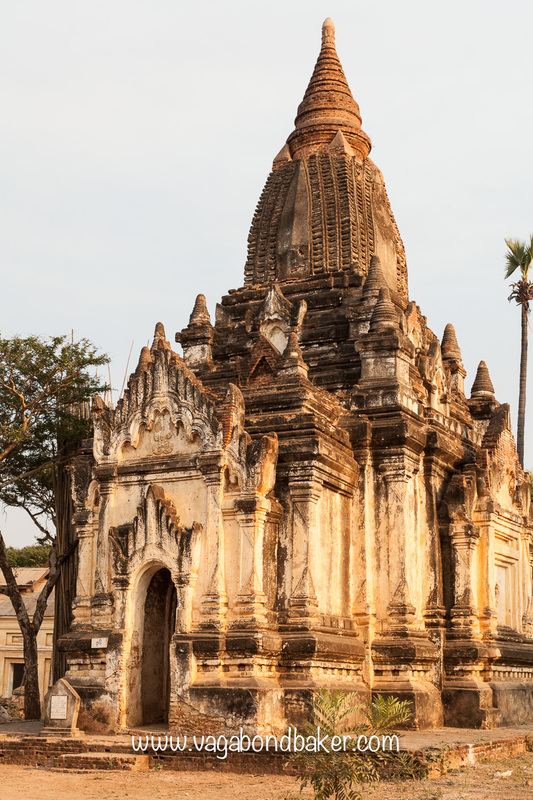 Over three thousand brick stupas pierce the sky, constructed between the 11th and 13th centuries, once part of a great city that was at the heart of the first Burmese kingdom. 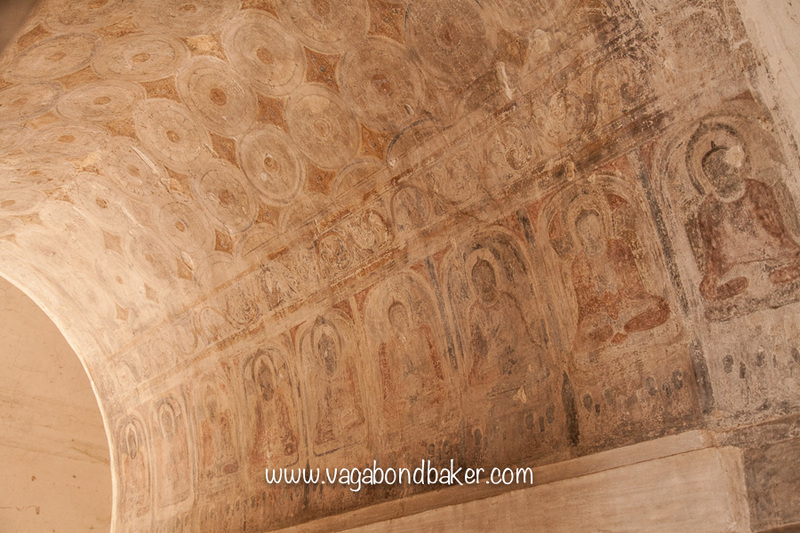 The pagoda-strewn plains are an unforgettable experience, the temple spires stretch out as far as the eye can see and inside many reveal hidden frescos and golden statues. 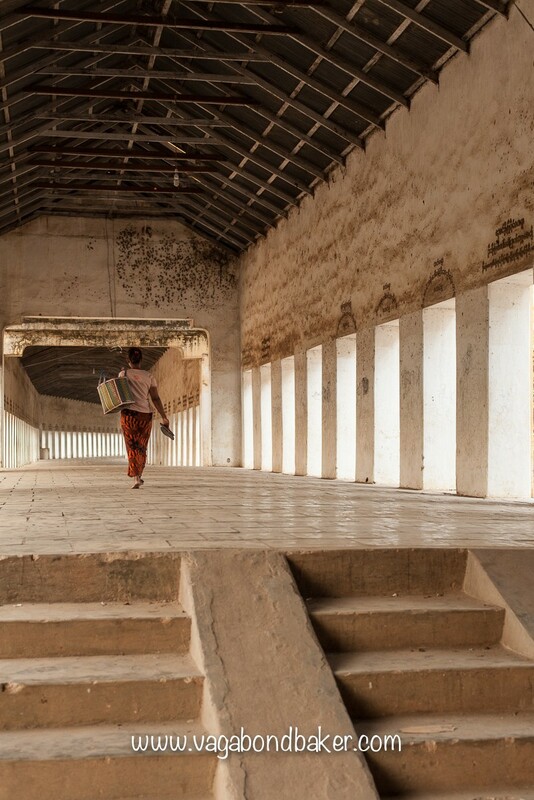 We had arrived into Bagan in the early afternoon, five of us tottering out of the railway station on sea-legs after the swaying overnight train from Yangon. Just a handful of taxis waited to transport us the four kilometres to the main town, Nyaung U where we’d managed to get a reservation at one of the guest houses. 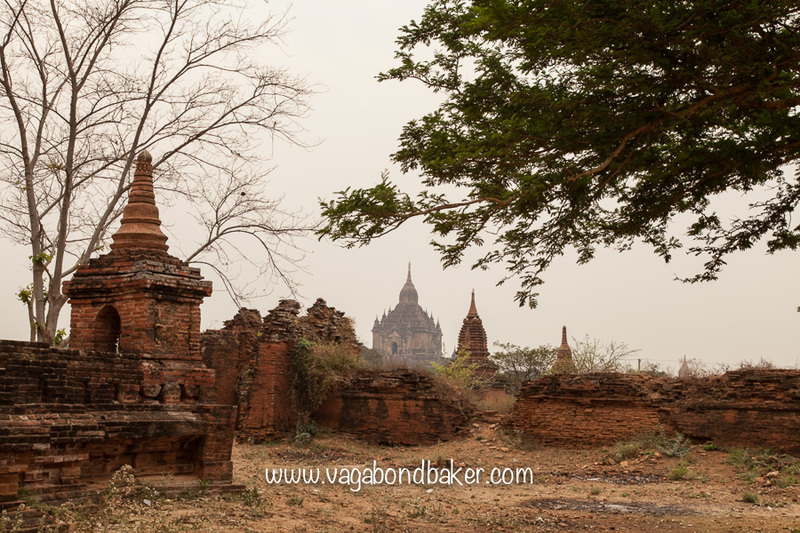 Karen and Robert were booked into a resort hotel a little further along in New Bagan. As soon as we were out in the daylight the drivers pounced, Mike took charge and refused the pushiest driver after he quoted an outrageous fee, bargaining with a second driver for a farer price. The first driver moved on the Robert, again with an inflated price and became aggressive when Robert asked another driver. 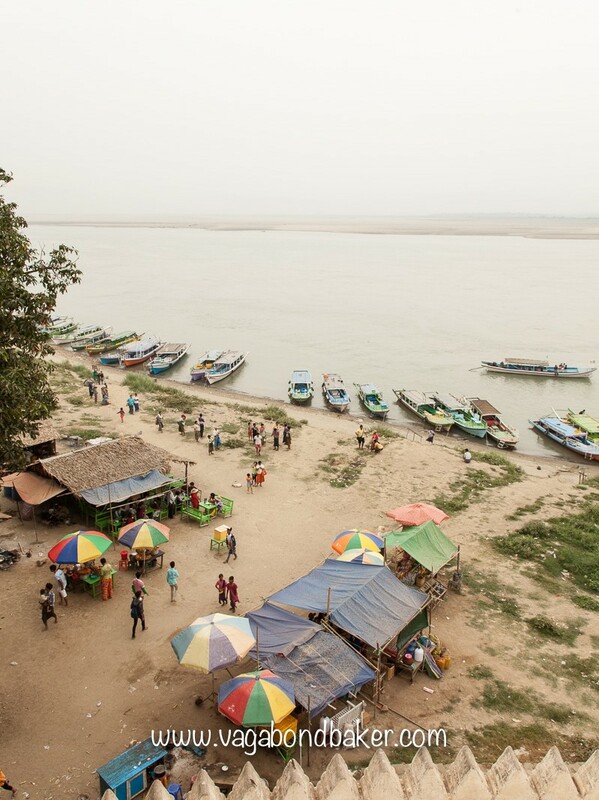 He began ordering the other drivers to stick to his price, it was all very uncomfortable and very unlike anything we’d experienced in Burma so far. 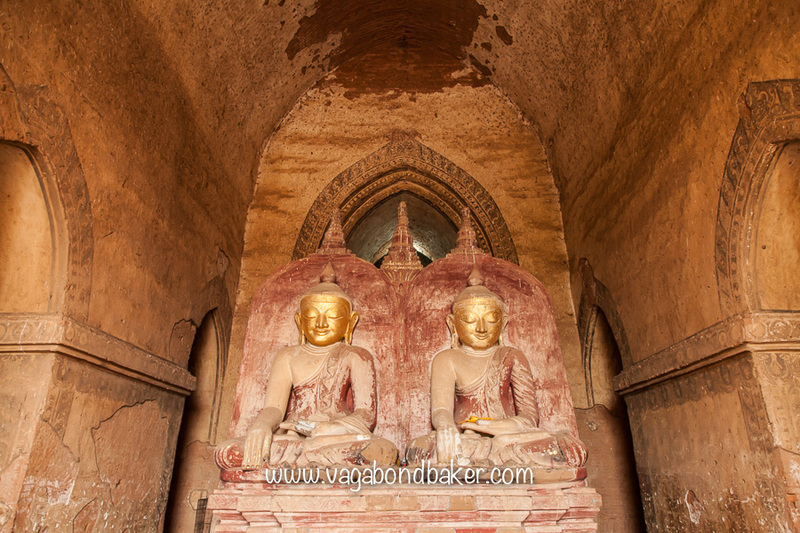 Our driver was a nice guy, he charged us a more reasonable 6000 kyat to Nyuang U, stopping at the permit checkpoint on the road into town so we could pay our tourist tax to the government by obtaining the obligatory Bagan Archaeological Zone entrance fee ticket for $15 each. We were asked to produce it twice while visiting the temples: at Ananda Pahto and at Shwesandaw Paya for sunset. We were dropped off at the May Kha La Guest House where we took a lovely, spacious double room, with a fridge, for $30 per night. Some of the afternoon was spent napping in our quiet, wood-paneled room. 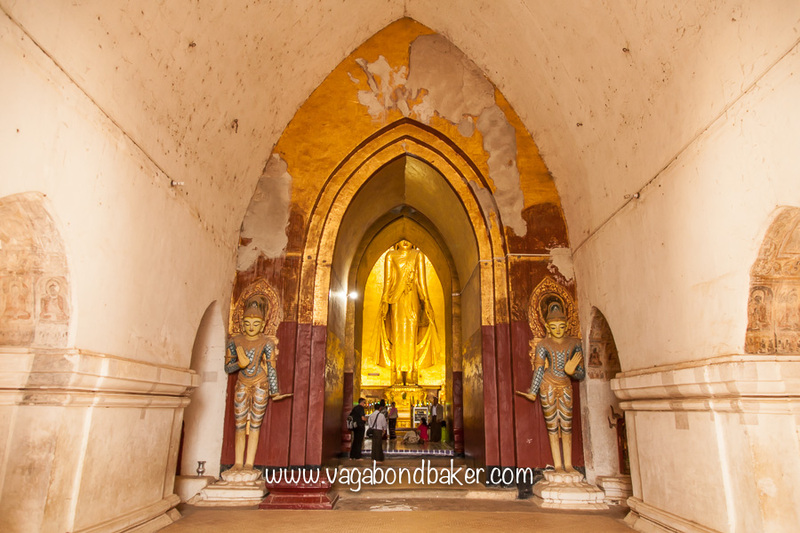 We met up with Mike a little later on and went for a meal at one of the restaurants nearby before venturing off exploring some of the temples in Nyuang U. Crumbling and golden in the late afternoon, they hinted at the wonders we would see the next day. 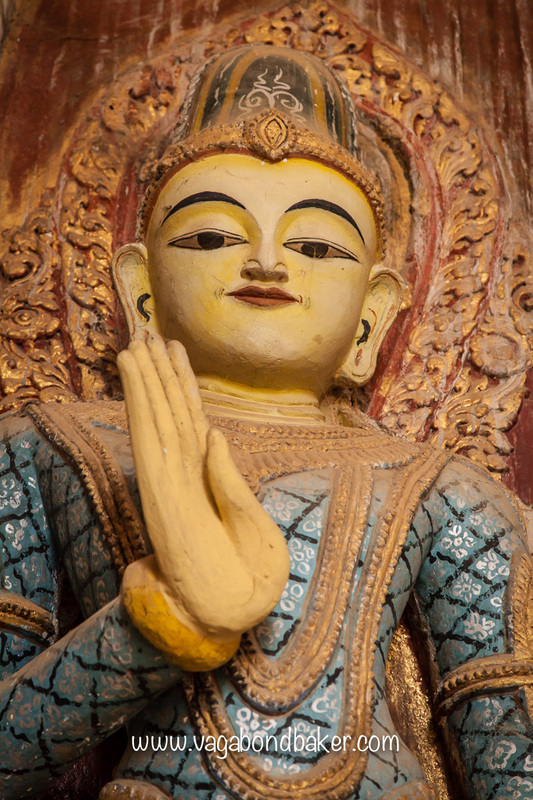 We found the Shwezigon Paya, the town’s main temple. 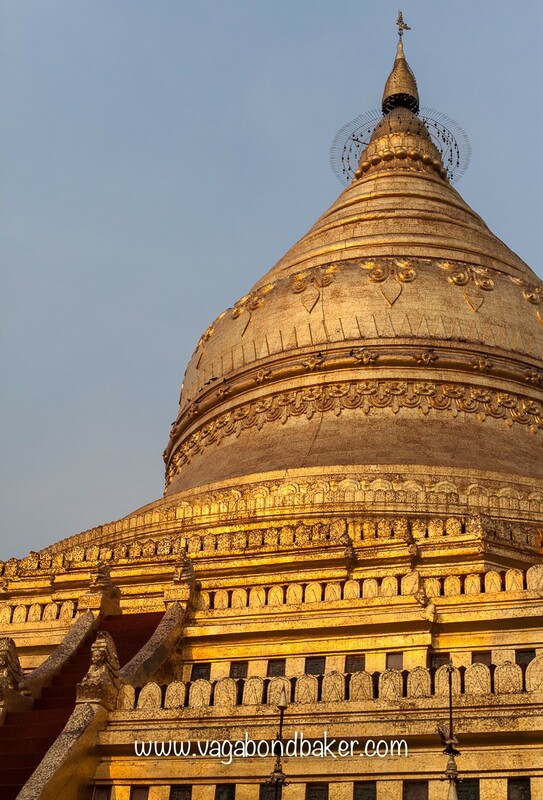 Like a small version of the Shwedagon Pagoda in Yangon, of which it inspired, its large gilded zedi (stupa) glinted in the setting sun. 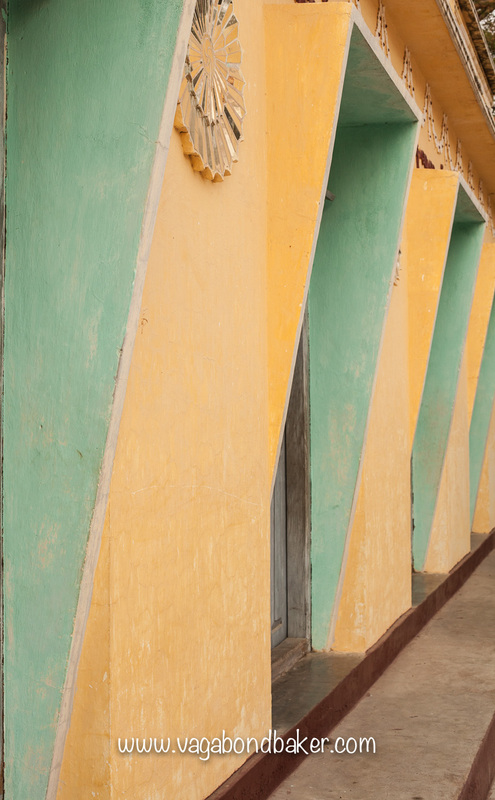 Surrounding the zedi were a number of art deco style shrines, painted in pretty pastel colours; a few locals were padding clockwise around the warm marble footpath while two men were posing for photographs in front of the zedi. 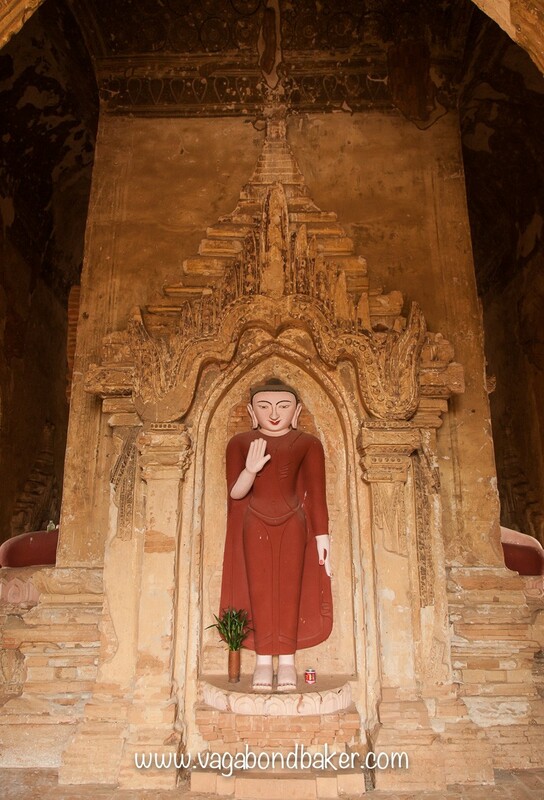 The Shwezigon Paya is famous for its room of 37 Nat, a small building containing thirty-seven figures representing all thirty-six of the recognised Nats– pre-Buddhist spirit beings that are still very much part of Burmese life– and Thagyamin, the King of the Nats. Nats have been worshipped in Burma long before Buddhism was introduced and in a clever move by King Anawrahta (who, in the 11th century, was making Theravada Buddhism the national religion), realizing that Nat worship was so ingrained into the fabric of the country, the Nats were linked to the Buddha by the introduction of Thagyamin to rule over them. 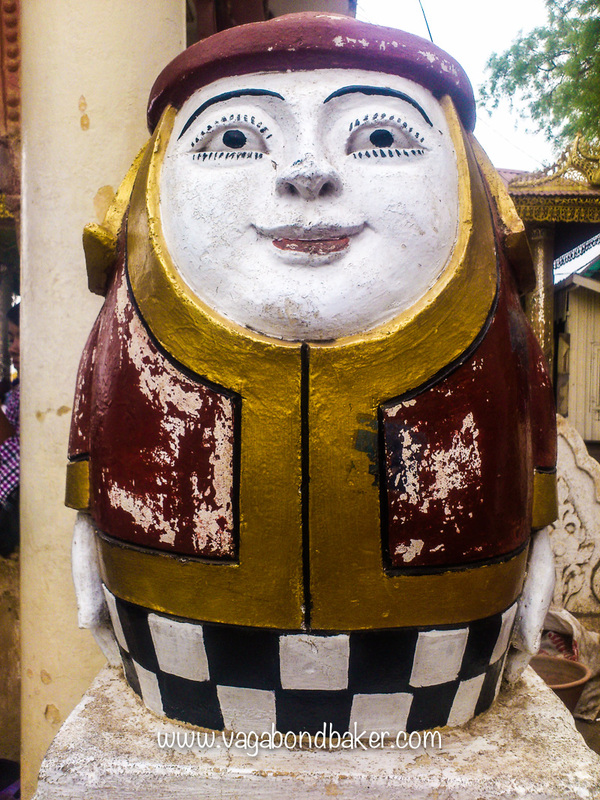 These mischievous spirits wield terrific powers which are placated or channelled by the people through shrines and offerings, and most Buddhist temples in Myanmar will have a Nat shrine. 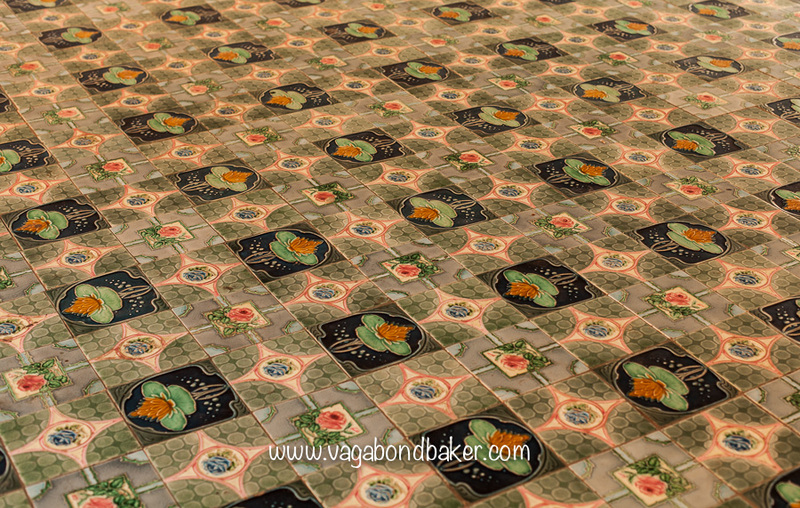 I loved this gorgeous tiled floor at the Shwezigon Paya. After a blissful night of sleep we rose fairly early to begin exploring the temple-strewn plain, meeting up with Mike at breakfast. 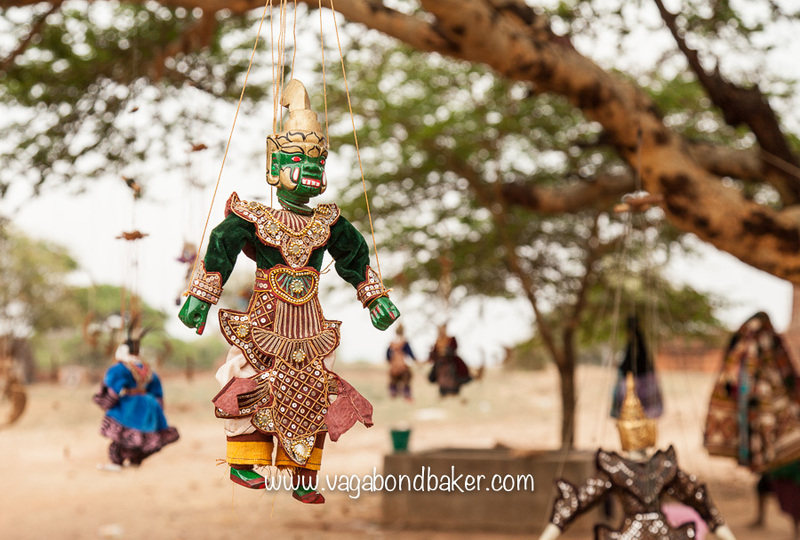 As the area is so large there are a number of means for travelling from one temple to the next: bicycle, e-bike, horse and cart or car. We opted to hire e-bikes from the little shop across from our guest house, these heavy bicycles are powered from a small car battery and are like low-tech, low power scooters. The sky was overcast and the morning rather cool; it was just after 8am and we zipped along the top road towards Old Bagan. Our first stop of the day was at Gubyauknge which we had to ourselves bar two vendors who were setting out their artwork onto the brick floor. 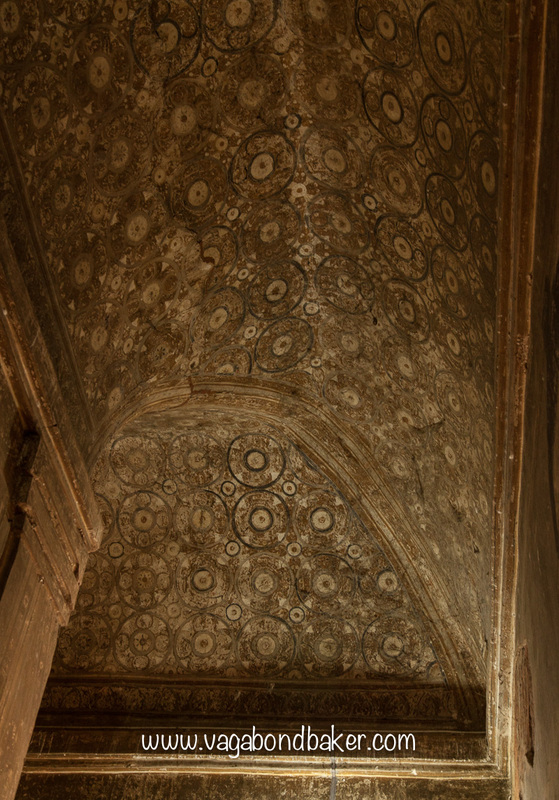 Above their heads the ancient painted ceiling was faded and flaking. We moved on to Htilominlo Pahto which was much more touristy, vendors were set up around the entrance selling everything from souvenirs to tee-shirts and the ubiquitous selection of patterned loose trousers. 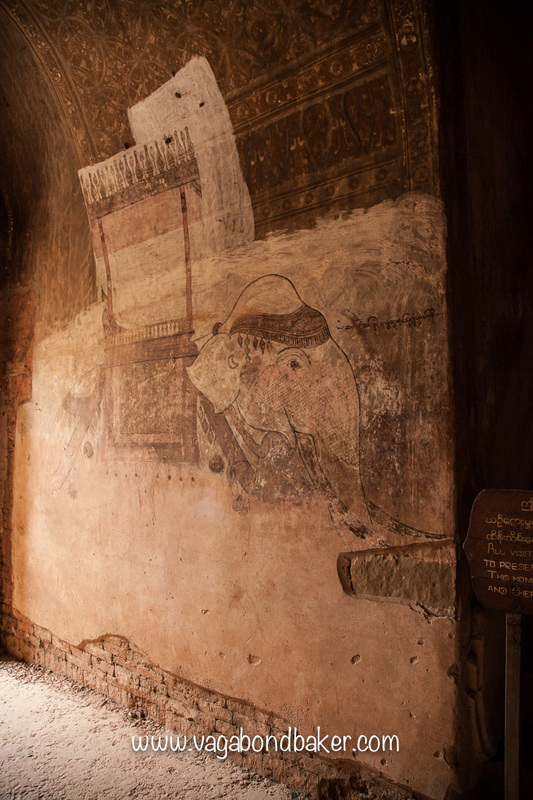 The three of us explored the dark cloistered corridors of this terraced temple, admiring the fine carvings on the exterior and the cheeky imp-like characters set into niches on the outside walls. As we walked back to our e-bikes a teenage boy came over trying to sell us books: fake guidebooks and Burma-based novels. We smiled and politely declined. On setting off I discovered I had a puncture, the tire was as flatter than a Burmese pancake. It was going to be a long push back to Nyaung U (our phones didn’t work in Burma). The young bookseller came over and offered us his mobile phone, he very kindly called the bike shop and arranged for them to bring another bike out for me. We offered him some money to pay for the call but he refused it, saying helping us was enough. It was such a kind gesture, especially from a young man so exposed to tourists. While we waited for the new bike we chatted away to him, Mike talked football,– soccer is an obsession here in Burma– they discussed Rooney, Man United, Chelsea. Mike had footage on his phone from a match he’d been to and they watched that. He showed us proudly his foreign note collection, he had bills from all over the world! The collection was glaringly void of a British note though, as our smallest denomination in notes is £5 no one had given him one, not even a Scottish pound note. Unfortunately we couldn’t give him one, we had no British money on us at all. 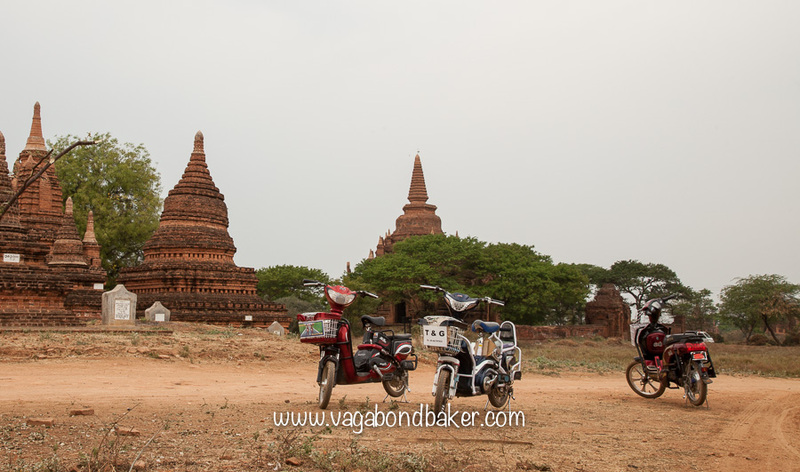 Armed with a new bike we headed into walled Old Bagan through the Tharabar Gate and Mike suggested it was time for a cuppa. Taking a right hand turn towards the river, passing a sign for ‘The Paya for Nuclear Disaster’(! ), we found a teahouse and sheltered from a light downpour in a busy little corner tucked away from the temples. This seemed to be the pick up and drop off point for the many Burmese tourists, they poured out of rickety coaches or long pickups, shuffling away en mass under umbrellas. The tea was made with condensed milk so I opted for a Chinese tea instead (I’m not a fan of condensed milk in tea; in coffee, now that’s a different matter), it was light and refreshing. Rain continued to pour off the make-shift canopy so we ordered a refill and sat it out. We decided to continue along the road, it brought us out at Bupaya, an early temple with a small golden stupa, although what you see today is a reconstruction as the temple was destroyed in a huge earthquake in 1975. 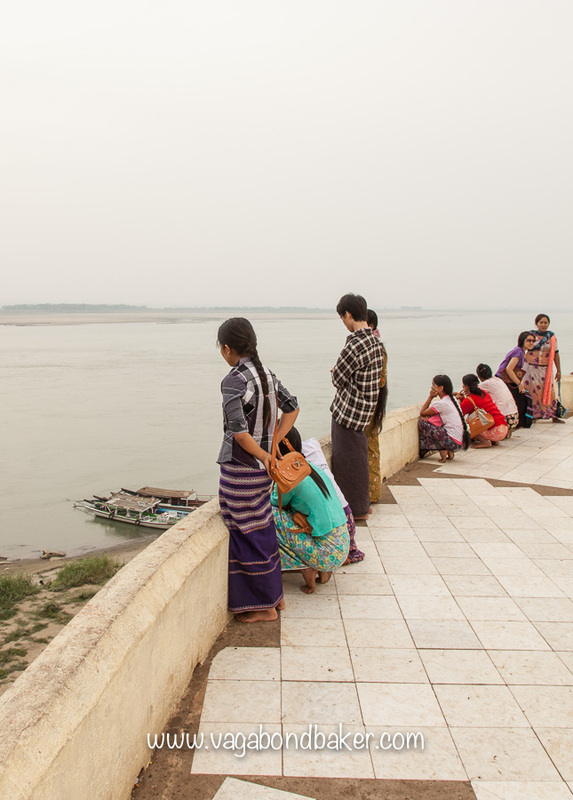 The temple sits high up on the bank of the Ayeyarwaddy river with terraces leading down to the water. The rain began to clear and we moved back inland to the spectacular Ananda Pahto, the most popular and most touristy of all the temples on the plain. 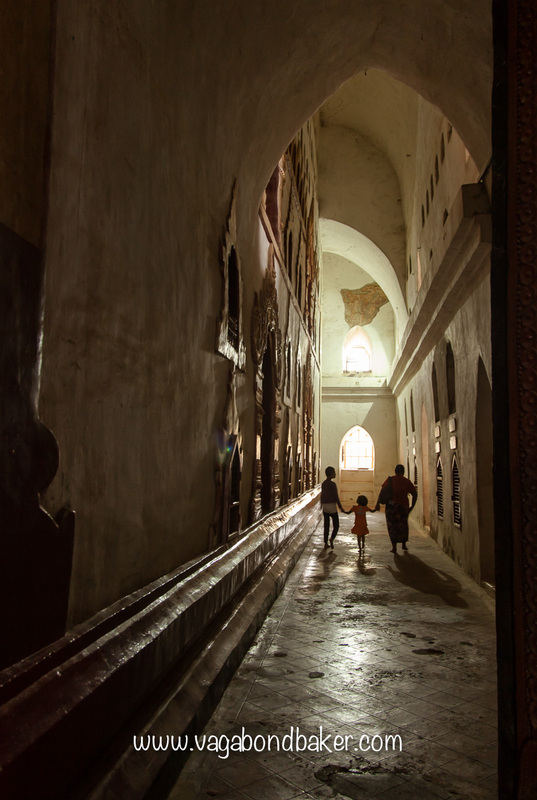 We entered through the slightly quieter east approach walking around the outer cloister first, its high ceilings and pale walls made it light and airy. The temple is laid out in a cross formation, huge teak doors separate the centre from each of the four arms– entrances. 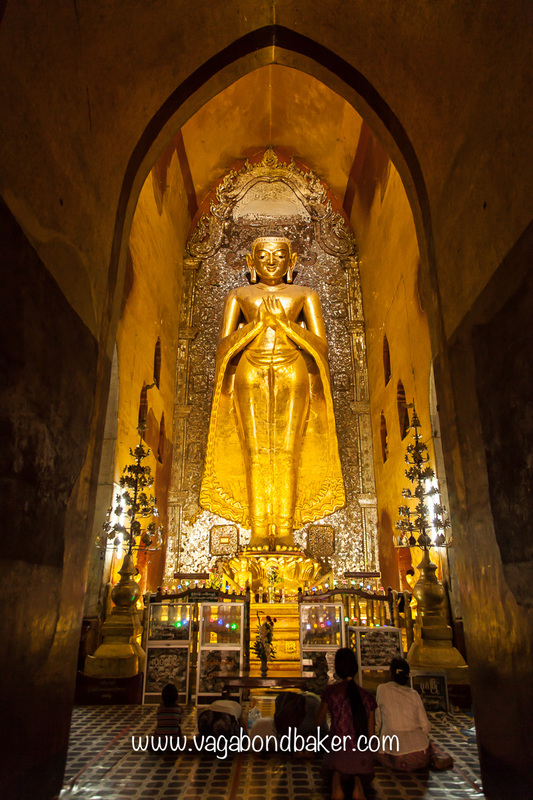 Four golden Buddhas face out from the centre of the temple, one of which is holding his hands in an unknown Mudra (hand formation), his hand position isn’t seen anywhere else in Buddhist teaching. 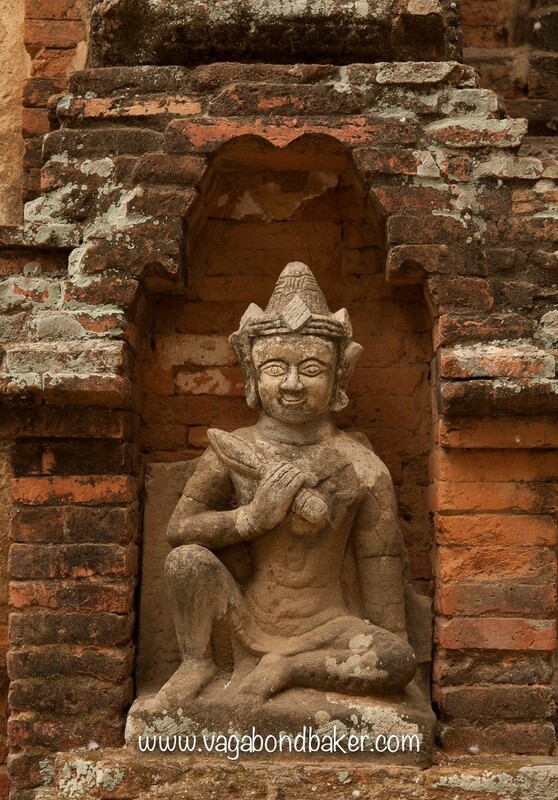 This isn’t the Buddha with the unknown mudra! After admiring the outside of Ananda Pahto we decided to find somewhere to eat and stopped at a restaurant on the road near the Tharabar Gate for noodles. Refreshed, we set off to see more pagodas, this time towards the central plain and beginning with Dhammayangyi Pahto. This huge brick temple dominates the skyline and has long dark outer corridors and mysteriously bricked up inner corridors. Grizzly legends abound regarding the construction of this pagoda, workers having their arms cut off, a king murdering his nearest and dearest. 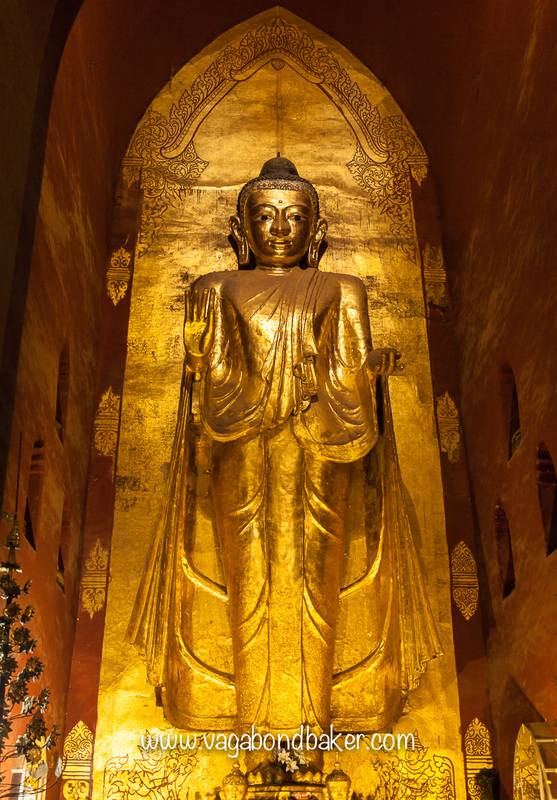 In one of the central shrines stand a lovely twin statue of the Buddha in his historical and future guises. Bats squeaked and chittered above our heads while swifts flashed past us. The temple smelt unpleasant from the bat droppings adding to the unnerving atmosphere of the pagoda. I didn’t want to stay long here. 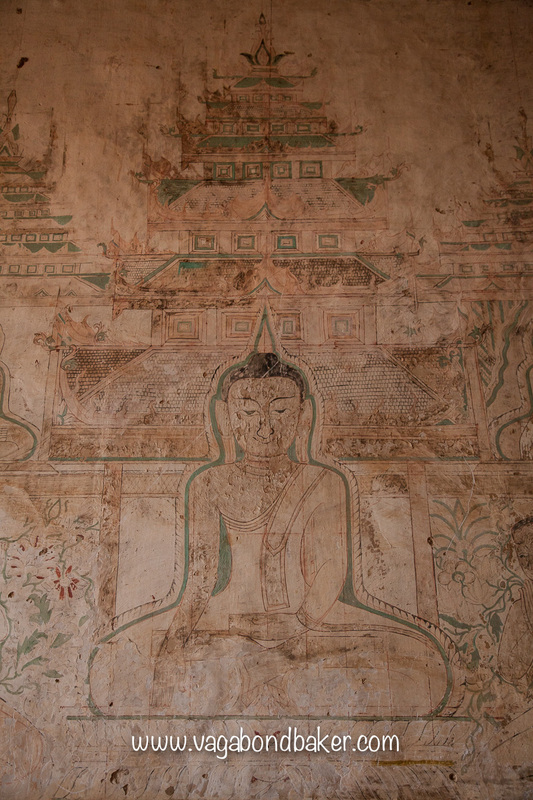 From Dhammayangyi Pahto we followed a sandy road– our wheels slip-sliding all over the place– to Sulamani Pahto. This pagoda was beautiful in contrast to Dhammayangyi Pahto, its light corridors illuminating large frescos of reclining Buddhas and elephants. Like many of the the other temples, its upper levels were closed off to tourists. The last temple of the day was Shwesandaw Paya: the sunset spot for the unimaginative. Its a popular place to watch the sunset for a reason, we were in the vicinity, so we chose it. This white, pyramid-style temple has steep external steps (with handrails) leading up to the upper terraces meaning you can get high up for great views over the plain. It was already quite busy, we passed a row of tour buses on our way in. On reaching the top terrace we found Robert and Karen, swapping our day’s adventures. The sun slowly made its way toward the horizon, casting a golden glow that turned to pink. Camera shutters clicked away. We feasted that night at Aroma (2), an indian restaurant in Nyaung U that declared ‘no good no pay’ on their sign. The food was good, we paid. On the ride back to the guest house Mike got a puncture, Chris rode on to bike shop to get help. There was some difficulty getting a new tyre on so they gave Mike a lift back, leaving me to ride home by myself. The road was dark and, after a day of riding, the battery was getting low meaning the headlight was awfully dim. I made it back though and, after a brief shower, I crashed as soon as my head hit the (hard) pillow. It had been a wonderfully exhausting day; the temples had been fascinating and the e-bikes had been fun to drive. The overcast sky meant the exploration had been comfortable too, if a little unphotogenic. We had it all to do again the next day, with even more spectacular results! 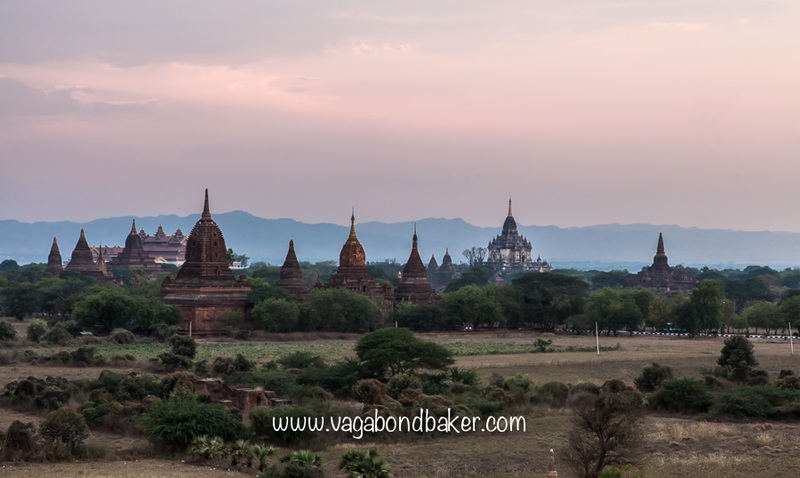 The Iconic Bagan Sunrise to the Unforgettable Sunset. Hot air balloons, well worth getting up before dawn! 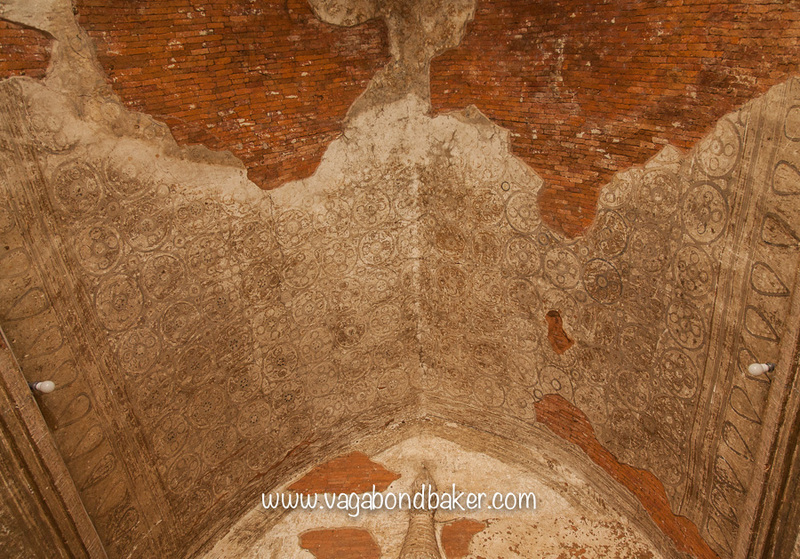 Wine and Hot Springs: Cycling Lake Inle Not some thing I’d ever imagined I’d do in Myanmar! Lake Inle Boat Trip. 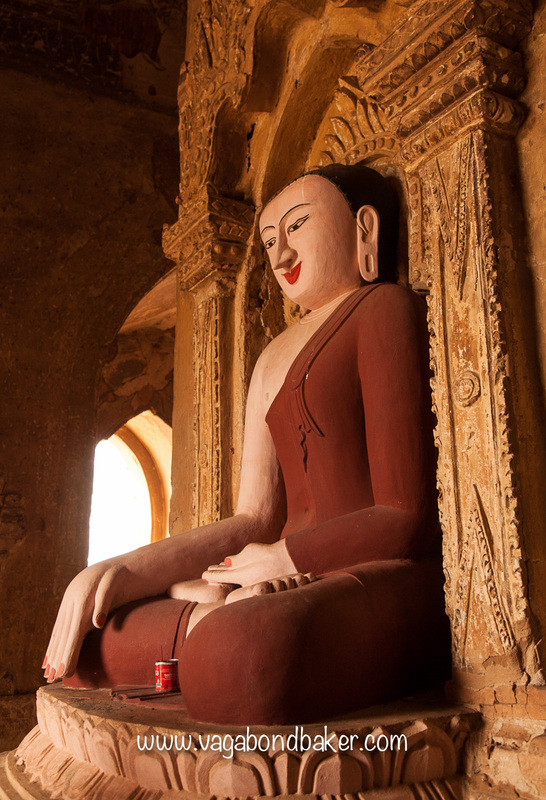 An Extraordinary Day In Burma! Ok, it’s touristy, but it is incredible and it’s magical! On The Rails To Mandalay. The Mail Train To Thazi. Another wobbly train through Myanmar, this time through the beautiful hills. 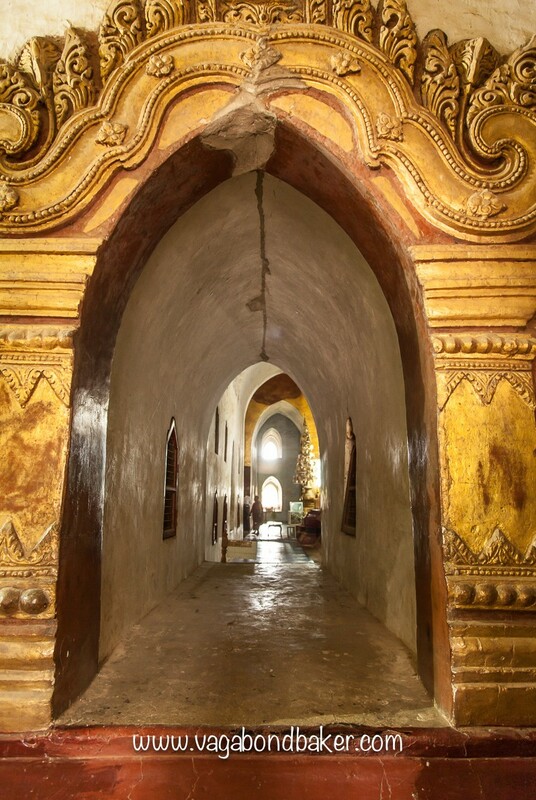 The Golden Land: Travels Through Burma a video ‘trailer’ for these posts about Myanmar. 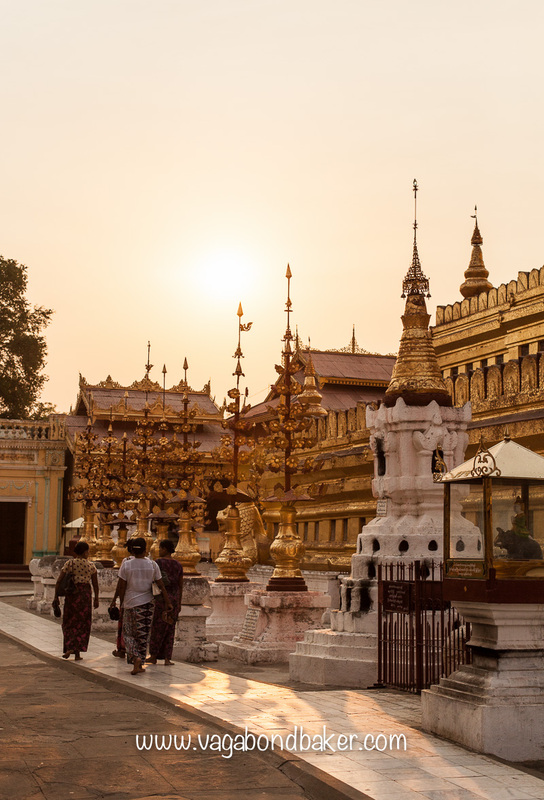 Golden Yangon Arriving into Myanmar and being utterly astounded by the glittering Shwedagon Pagoda! Colonial Yangon, the Rangoon of my Imagination a morning stroll that sent shivers down my spine. The Myanmar Rail Experience. 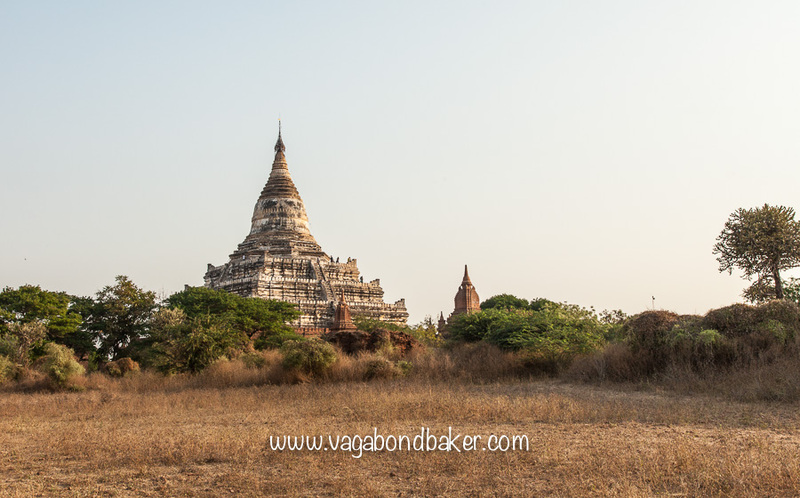 Exactly what it’s like to take the overnight sleeper to Bagan: an adventure! No way! That would have been so amazing! Imagine of it was the same guy, I wish I’d photographed him (tsk- I always forget the important photo op), he was a young guy, early teens maybe. Wow, eight holes, that’s one hell of a punctured tire! They must get so many ripped up tires, I’m surprised there isn’t a sideline in tire repairs at some of the bigger temples yet! Your balloon trip over the plain looked incredible!